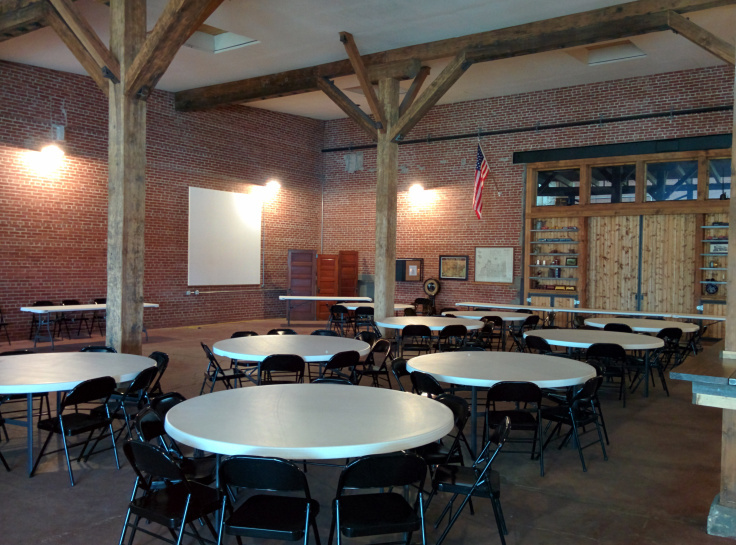 The Round House Event Center is Beardstown’s premier event location! 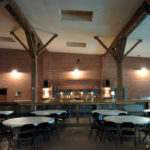 The Center is located at 905 Bay Street, with two main entertainment spaces, the Electric Owl Lounge and the Banquet Hall. 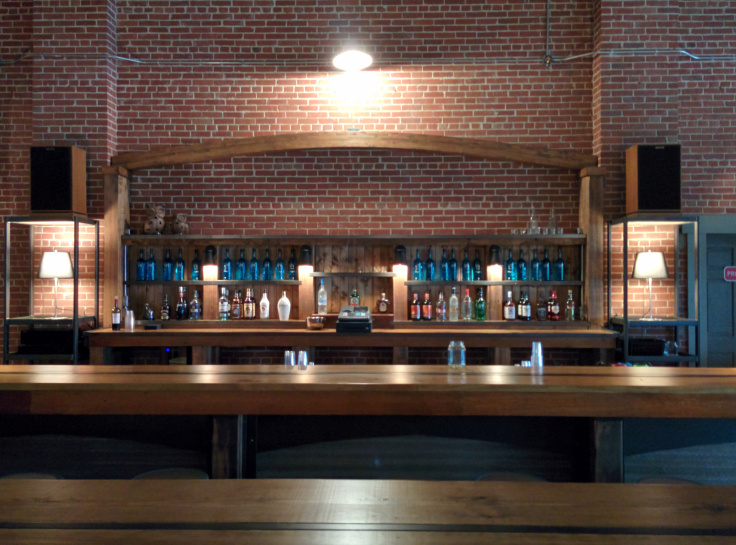 The Electric Owl Lounge is a 3,600 square ft. space featuring a 50 foot full bar, 8′ x 8′ screen, and can seat a maximum of 100 people. This room can be can be heated in the winter and cooled in the summer. The Banquet Hall is a 16,900 square ft. space featuring a 800 square ft. stage, a dance floor, and can seat a maximum of 400 people. The two spaces can be rented together or separately depending on the type of event you would like to have and the group size. Please contact the Center for more details, and to schedule a tour of the building. 10. Special Events – Bands/Comedy Night/UFC Fights/ Boxing Matches/Etc. If you have an idea for another type of event, please contact us. We provide round tables that can seat 8-10 people. The tables can be setup in various ways to satisfy your needs. Bands and DJs can perform in both rooms. Speakers and Sound Board are not provided. 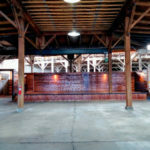 We have onsite parking capable of hosting large events. 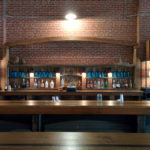 We can also accommodate food vendors for your event. We are also advertising storage space for the winter months only. Please contact us for more details regarding storage and rental pricing. 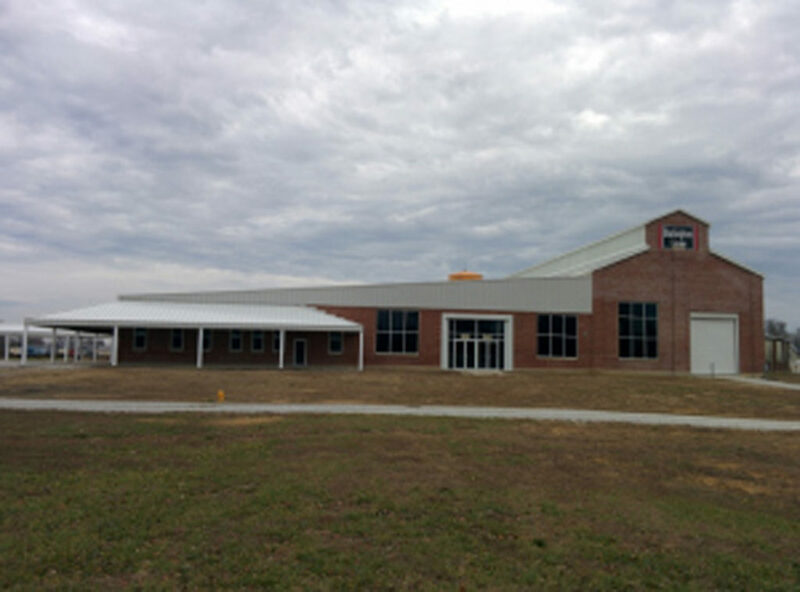 The Round House Center is an approximate 64,400 square foot brick and block structure with concrete floors, situated on approximately four acres of land. 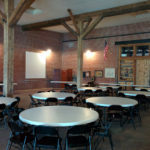 The original structure was built in 1905 by the Chicago, Burlington & Quincy Railroad (the name was later changed to the Burlington Northern Railroad) as a round house and adjacent office space. The round house portion is two story, and was used to store and repair steam locomotives. The single story element was and continues to be used as office space, break rooms, shops, and general storage areas. In the 1950’s, the property was converted to a farm implement store and operated as such for nearly ten years, until Jefferson Smurfit (formerly Alton Box) purchased the property and converted it into a manufacturing plant. Jefferson Smurfit later built a new facility in Beardstown’s industrial park and planned on moving to this plant by July 1997. The roof and the office areas were severely damaged during a fire and the Round House sat vacant for several years. In November, 2009 John and Alecia (Lish) Crowe became the new owners of the Round House Center. 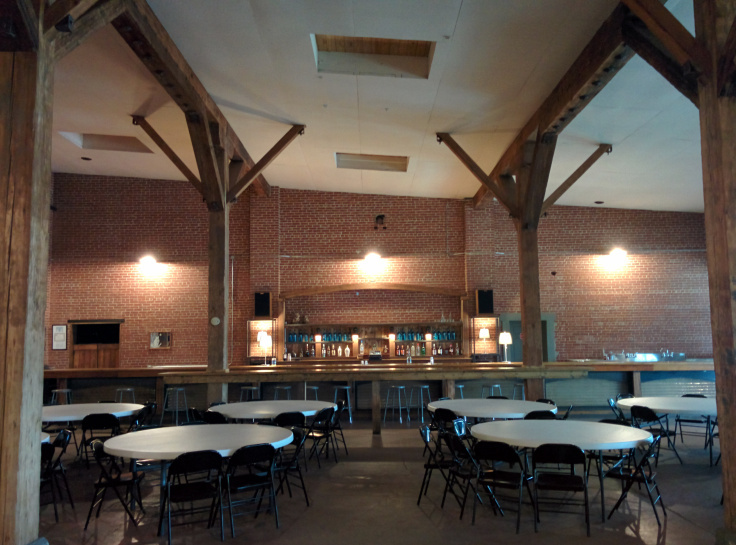 Their plan was to open the Round House as an event center, but before the doors could open to the public, the building needed a major renovation. A new roof was added first, along with new windows and doors. Extensive soda blasting was done to restore the brick walls inside the rooms that would become the Electric Owl Lounge and the Banquet Hall. 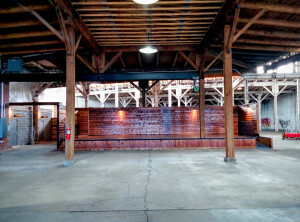 A 50 foot bar was built and a stage was added to provide a unique and historical entertainment space. The renovations still continue, so there is always something new to see during every visit.